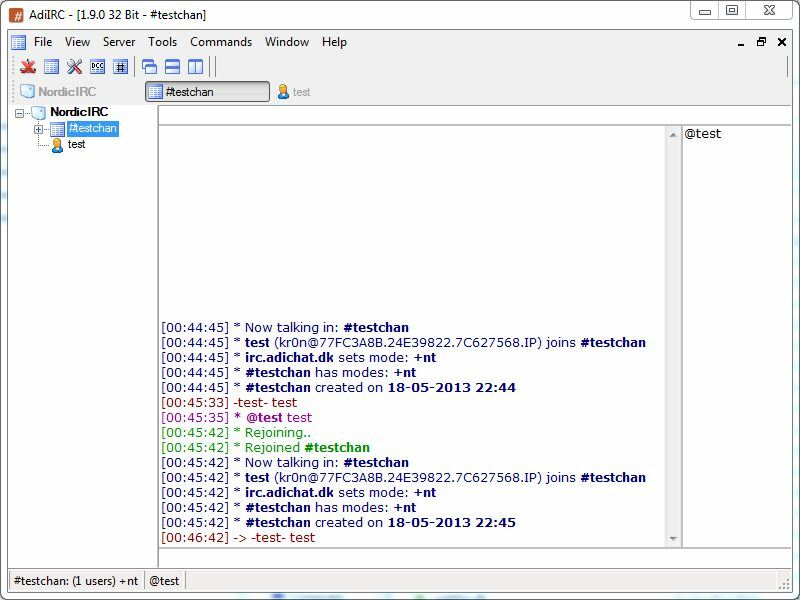 AdiIRC is a free Internet Relay Chat (IRC) client. Customizable with themes and plugins. download setup file and extract with 7zip/uniextract. Move contents of '$COMMONFILES' folder (config.ini, servers.ini, slaps.txt) into program directory. Delete unneeded translation files. Alternatively download the archive with only the .exe. AdiIRC requires Microsofts .NET 2.0 Runtime or higher installed. I would happily test though I don't have .NET installed on my test environment. Any chance for this app to be listed on main Portable Freeware Collection? This irc client improved a looooooot since this thread was started in 2012. Quick note about the license: couldn't find the license anywhere on the site, but Softpedia is listing it as Freeware. P.S. can anyone check to see if the "64 bit" executable (version 1.9.5.0, extracted from here) is really built on 64 bit architecture? It seams to me that it's not, but maybe I'm missing something. Thank's for the info, I'll update the entry! I was blinded by the 2 direct download links for the setup packages, from the homepage, sorry. I can change the screenshot, too, if you mind.